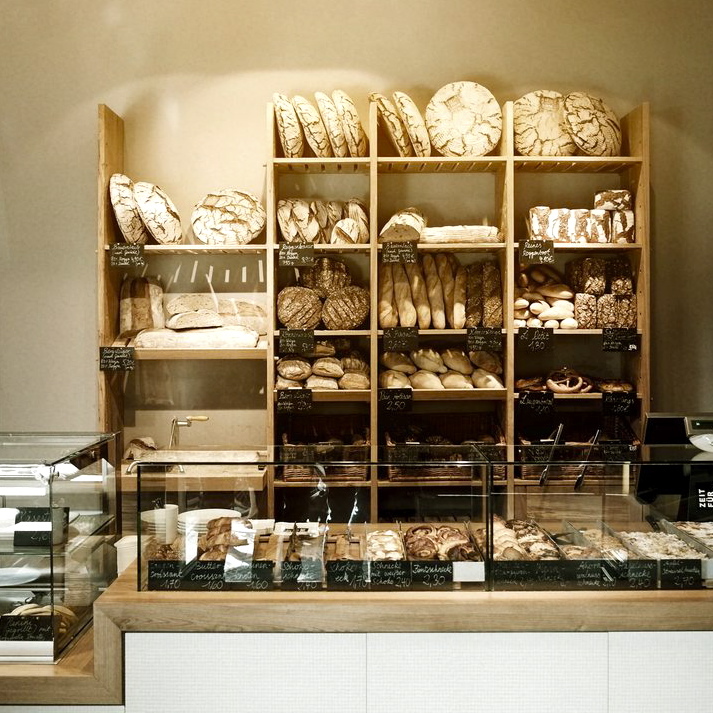 On my way to Berlin Mitte's new It-Bakery, I could see countless people coming my way, nibbling pastries out of little paper bags, looking happy as a clam. The bags unmistakably showing off the name of the source of said happiness: Zeit für Brot. I was on Alte Schönhauser Straße and had almost reached my destination. The space outside the bakery, which also includes a café and a vending spot, resembles a beehive. 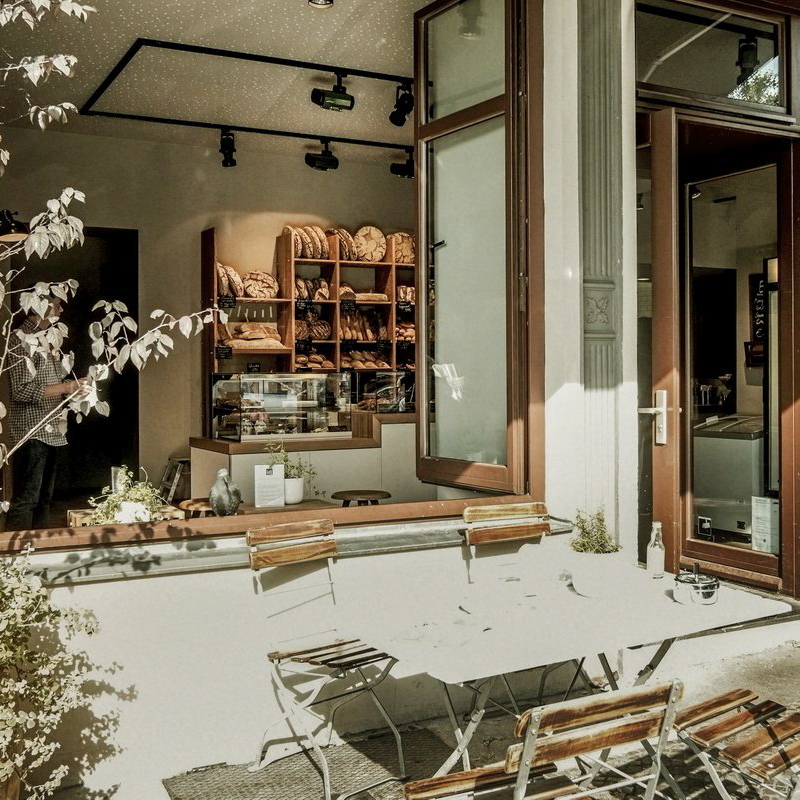 'Zeit für Brot ['time for bread'] is a bakery concept that aims to combine the culture of baking and bread with zeitgeist', says owner Dirk Steiger, who took the time and talked to me a little later, and his plans seem to work out just fine. 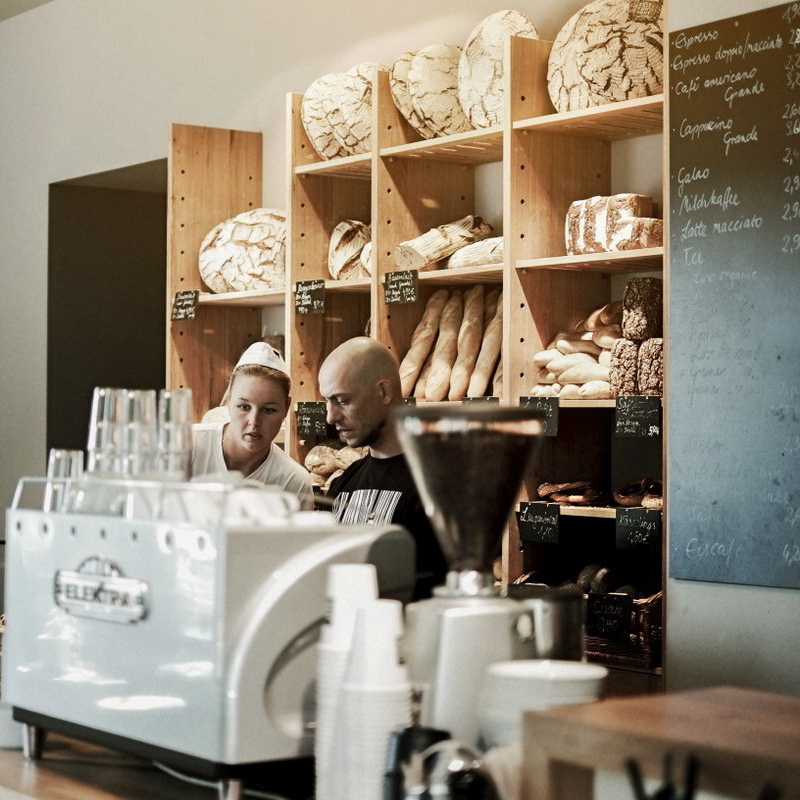 The store's interior is puristic, yet gives off a warm and comfy vibe. Freshly baked loafs grace the racks in the back. Among the pastries on the counter, there are sweet rolls by the pile, fresh out of the oven, juicy and warm, filled with cinnamon, nuts or poppyseed. Savory snacks like little muffin-shaped quiches and brisky sandwiches are laid out in another display waiting to be munched away on. 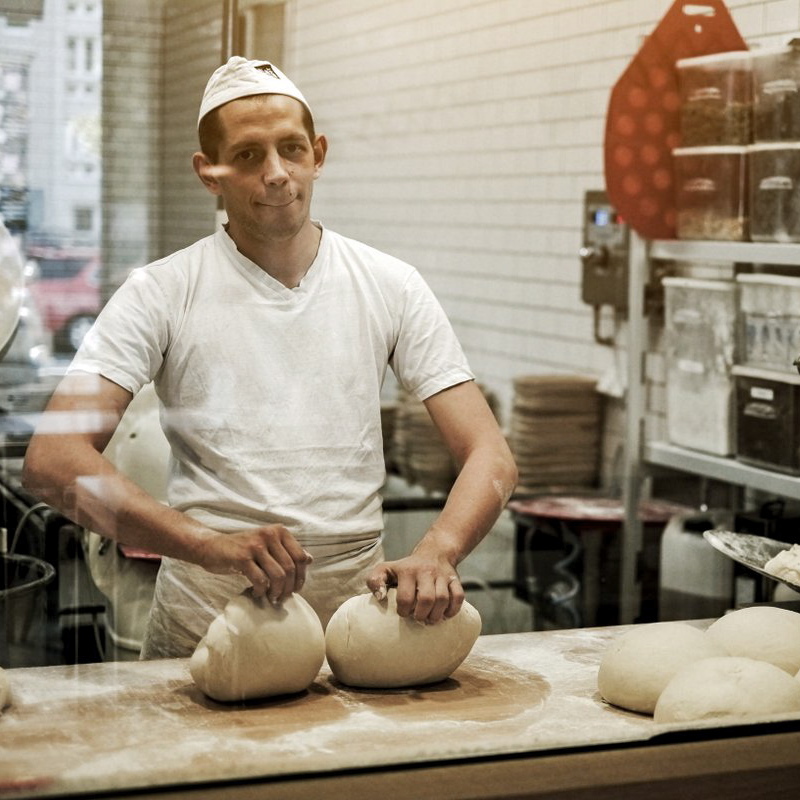 In the actual baking room behind a big glass window, hardworking staff keep the fresh rye bread, the rustic baguettes and trays of well-ripened buns coming. 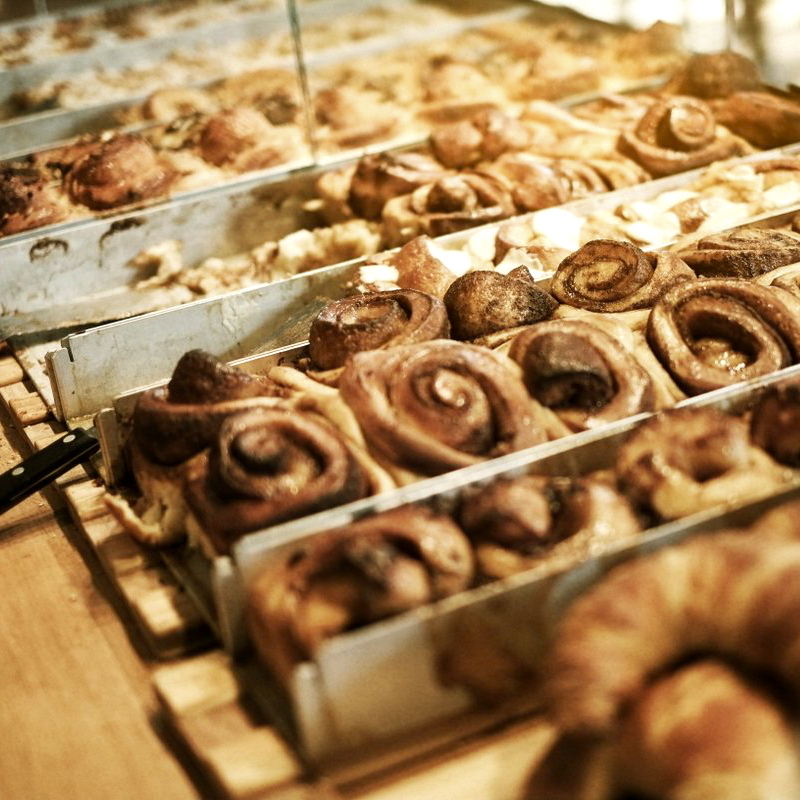 Cakes, danishes and chocolate buns as well as perfectly fluffy croissants are being taken out of the oven alternately. Ingredients used to bake all this goodness are exclusively organic and are processed in old recipes. Obviously, I couldn't try everything, but if the bread and the other pastries are anything close to the poppyseed roll I had, then you should get on your way now. They really were that good!